our business information that will be displayed on the online booking forms that the client will be using can be configured in the Business Settings and the Location Settings. You should ensure this is accurate, including your names, addresses and open hours so clients have the correct information they need when booking. 2. 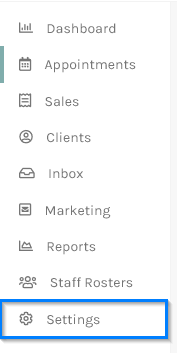 Click on Manage Your Locations under the Business Setup section. 3. Click on one of the Locations to bring up its details. 4. 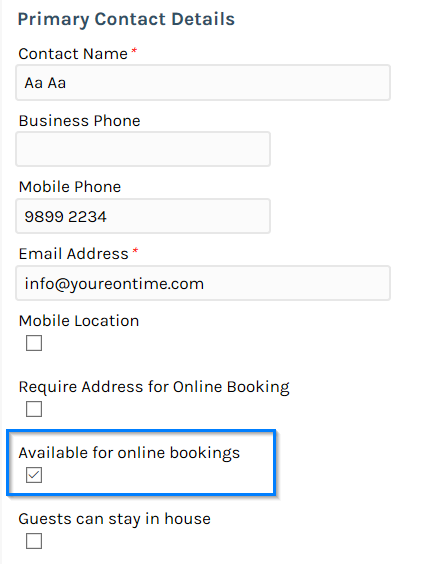 Make sure the option Available for online bookings option is ticked if they can book this online. 5. Ensure the business address and contact information is correct. 6. Ensure the opening and closing hours are correct. 7. 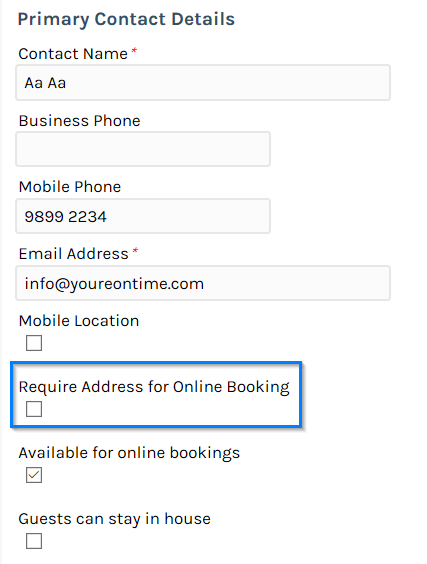 If you are a mobile business who comes to your clients tick the Require address for online booking option. This will force the client to supply their address when making a booking. 8. Click Save to update these details. If you have more than one location check each of them.